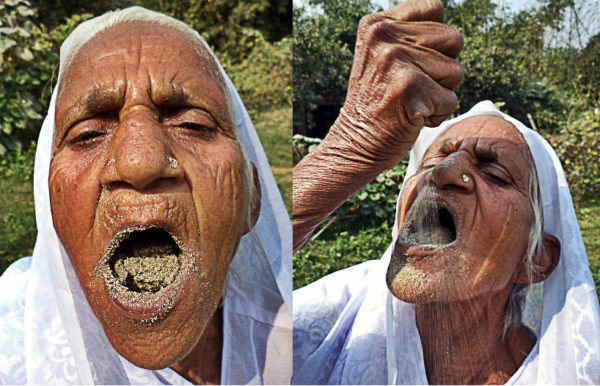 THIS Woman Eats 2KG Of Sand Per Day For 60 Years And She Has Never Been Sick! 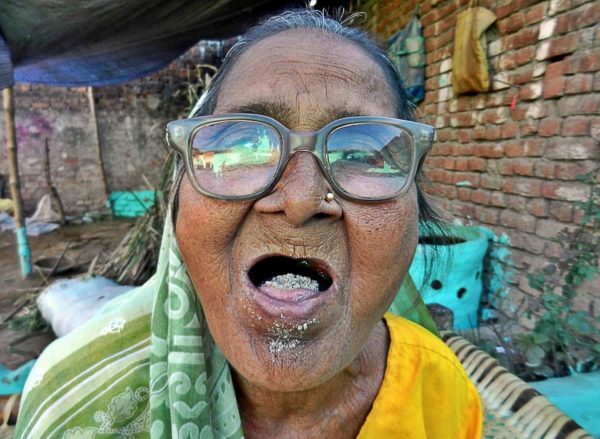 Kusma Vati, 78, spends hours shovelling sand into her mouth every day, and likes to chew on the walls of her own house. Kusma said: ‘I have been eating sand and gravel for around 63 years now, I love eating them and I don’t think they have any harmful effects. According to her, she has never seen a doctor thanks to the daily 2KG of sand. ‘I have never seen a doctor because there has just been no need, for as long as I can remember I’ve felt perfectly fine. I started eating sand at the age of 15 and I had a bad stomach ache but that didn’t last long and now it feels like all this is very normal to me. There is another woman who has, suprisnigly, the same habit of eating sand. 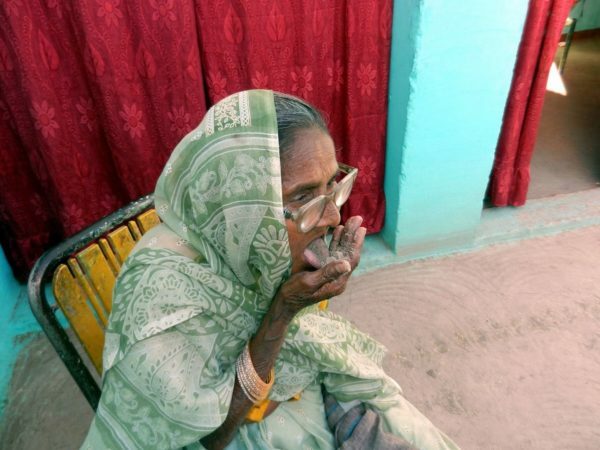 Sudama Devi first munched sand for a joke with friends when she was just ten, but now eats up to a kilogram of the stuff everyday. ‘When I was a child my friends bet with me to eat sand. The first time I tried and I felt good. After that I ate it like a routine diet. I eat sand daily, about one kilogram and three or four times in a day. 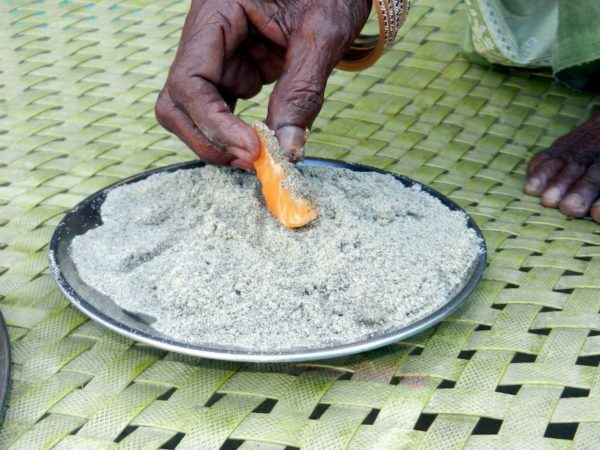 These women believe that eating sand has ‘unlocked’ the mystery of long healthy life!